When it comes to insurance, most people are vaguely aware that it’s a good idea to have it. But beyond that, there are a lot of different details to look into to make sure that you aren’t surprised if something happens where you actually have to make an insurance claim. Ideally, you’ll never have to claim anything. You’ll live a life where no catastrophic incident occurs, and will happily have put into your financial safety net without ever having to take anything out. However, that’s not always the case. 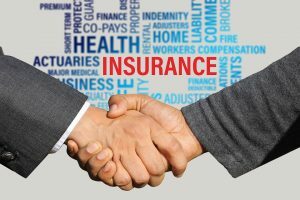 And if you do have to make an insurance claim, it’s important to know how major disaster coverage works, how specific cases are handled, what the time to pay-out is going to be, and how the dynamic between insurance companies and the insured typically works. When you sign up for major disaster insurance, you’re trying to protect yourself against a catastrophe ruining your life. The only problem with this type of insurance is that if you are claiming against something like a hurricane, flood, or a wildfire, lots of other people are going to be making that same claim. So you have to be patient when it comes to getting anything out of a significant disaster, assuming you have insurance in the first place. In other instances of insurance, coverage is very narrow. In other words, if you think there’s a possibility of something specific happening, like a building collapsing, or a certain type of medical emergency, then you can buy insurance for it. However, if when that event does occur, something happens outside of that narrow definition, you may be out of luck. It’s important that you read the fine print when it comes to specific coverages, to make sure you’re getting the kind of backing that is appropriate. Even if your claim is successful, insurance money doesn’t come to you immediately. Sometimes there’s quite a delay before you get any money at all, and your overall coverage may give you your money in several payouts instead of all at the same time. Again, the more you talk to your insurance company, the more understanding you’ll have of this interworking process. The dynamic between insurance companies and people they insure might not quite be what you expect. Insurance companies are out to make money. Yes, they provide a safety net for people in many instances. But, their bottom line is to create a profit for themselves and their stockholders. Don’t think that insurance companies are there to help you. That’s how they advertise, but it’s not necessarily how they operate. Make sure you make smart decisions based on your coverage and always be prepared to fight to get what you think you deserve.